Remembering Louella M. Leftridge Costello | Remembering Louella M. Leftridge Costello | De Soto Obituary Search | Dietrich-Mothershead Funeral Home, Inc. Remembering Louella M. Leftridge Costello | De Soto Obituary Search | Dietrich-Mothershead Funeral Home, Inc.
Louella Mae Costello was born May 5, 1939 in Blackwell, MO. She was the daughter of Homer Earl and Alli Lucille (nee Radford) Leftridge. 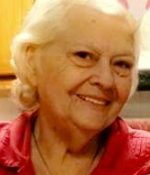 She passed on January 14, 2019 at Mercy Hospital Jefferson in Festus, MO at the age of 79 years. 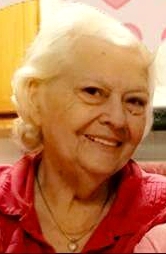 She is survived by her children, Freddie D. (Debbie) Costello, Fletcher, MO; Debra Cheryl (Lee) Ziegelmeyer, Festus, MO; David Costello, De Soto, MO; Danny Costello, De Soto, MO; Jeffrey Lee Allan (Teonna) Costello, Pevely, MO; and Michael Anthony Costello, De Soto, MO; ten grandchildren; several great-grandchildren; siblings, Wayne (Donna) Leftridge, De Soto, MO; Bill (Mary) Leftridge, De Soto, MO; Kay (Ardie) Price, De Soto, MO; and Linda (Jim) Bailey, Arkansas; and a sister-in-law, Becky Leftridge. She was preceded in death by her parents; husband, William Edward Costello; grandchildren, Melissa Costello, Christopher Ziegelmeyer, and Julie Costello; two brothers, Robert Leftridge and Randall Leftridge.